Quite often, when people start thinking about buying or building a new home, they focus on the actual structure itself. However, one of the most important aspects of what will turn a house into a home is the community in which it is located. You and your children will experience a far greater quality of life when your community is attractive, close to shopping and entertainment centres, and surrounded by a variety of amenities like schools, hospitals, and recreational facilities. 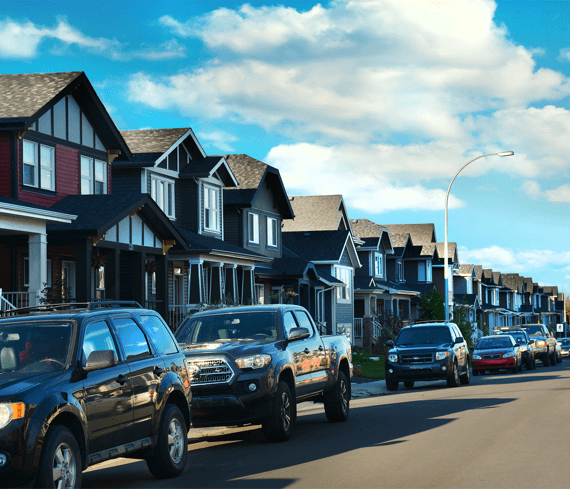 New communities in the Calgary area offer families an incredible opportunity to live in a charming neighbourhood with a rich assortment of amenities and attractions nearby. Easy access to important commuter roads and public transportation routes makes these communities even more desirable. Professional and experienced builders have set the standard for creating your ideal home in a fantastic environment that every member of the family will enjoy. Consider the benefits of living in these communities in and around Calgary as you decide where to call home. 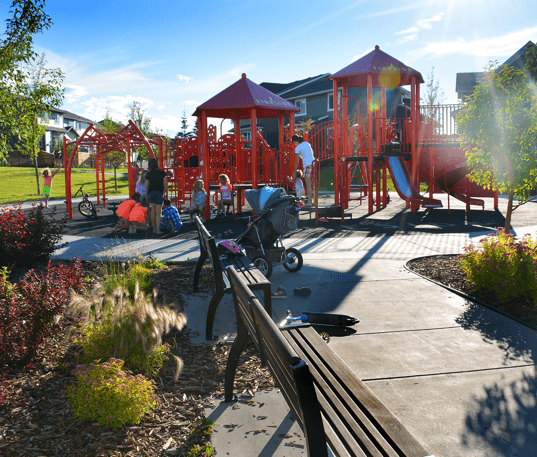 One of the loveliest sites in the Bow River Valley, the new community of The Willows was designed with an eye for integrating green spaces into the historic town of Cochrane. Living in the Willows of River Heights, you'll enjoy parks, playgrounds and recreational centres. Fireside is another wonderful master-planned community you'll find in Cochrane. There is a home style for every lifestyle and budget here, with your choice of beautiful duplexes, laned and front-attached homes. When you live here, you'll enjoy access to breathtaking natural amenities around you. There are acres of preserved wetland, parks and walking trails, local shops and services, and a wonderful K-8 school. Cochrane has its own fun atmosphere, with a tea shoppe, cafes and restaurants to suit every taste. There is also several big box grocery stores and other major retailers nearby and an established network of schools for children of every age. When you want to go into Calgary for your big city fix, you'll appreciate the quick 15-minute commute down Highway 1A. It is rare to get a chance to live within the heart of Calgary while still benefiting from a beautifully sculpted community loaded with amenities. The Inner City Homes area includes some of the best entertainment, culture and shopping venues found in downtown Calgary. State-of-the-art medical centres are just minutes away. Dine at some of the city’s finest restaurants while strolling through one of the many elegantly maintained green spaces. You’ll get all the benefits of living in a prosperous metropolis while enjoying the beauty of your unique, downtown neighbourhood. And, of course, living in the city centre allows you access to all of Calgary's public transportation options as well as feeder routes that will make your commute very short. Touted as the number one community in Airdrie, the lovely area of Cooper's Crossing is surrounded by gorgeous lakes, landscaped walking paths, and plenty of beautiful green space to enjoy. Your kids will have access to premier public and private schools just a short walking distance away, and a new school is already under construction. On weekends and during the holidays, your family can enjoy more than 300 acres of playgrounds, parks, and hiking trails. There's also the brand-new Chinook Winds Park that includes a toboggan hill, four volleyball courts, eight ball diamonds (including four for Little League and four for adults), an ice rink, a skate park, and a spray park which is just minutes away on foot. The new Genesis Place Recreation Centre is just a short commute away. When it's time for shopping, the nearby Sierra Springs Center is just a short drive away and includes a Wal-Mart Supercentre, Calgary Co-Op, Safeway, Sobey’s, Home Depot, plus several quality restaurants. Residents of Ravenswood enjoy the closeness of downtown Airdrie - it's just a short walk away! Commuting into Calgary is easy, too. This diverse, new Airdrie community has plenty of home styles to choose from. You'll find parks, walking trails and a picturesque surrounding here, making for closer community ties and a friendly place to put down roots. Next to the Queen Elizabeth II Highway (QE2) in King's Heights, you'll find all the most popular and important amenities you could ever need. From grocery stores to restaurants and shopping, you're sure to find it here. Want more shopping options? No problem! You'll find CrossIron Mills a few minutes down the highway. It is the biggest single level shopping centre in Alberta, and even has a movie theatre! Located just a few kilometres north of Calgary, residents from these two communities can easily commute via the QE2 or reach Cochrane and Irricana within a few minutes. There is also an express bus that connects Airdrie to all of Calgary's most important transit hubs. This ideal neighbourhood in southwest Calgary maintains its long tradition of ranching heritage. You and your family can enjoy a healthy range of outdoor activities in Silverado, and enjoy visiting the world-class equestrian facilities at nearby Spruce Meadows. There are also several pristine parks, playgrounds, and charming green spaces that perfectly complement the mountain views. By car, the mountains are a short distance away and an ideal destination for some weekend fun. When it comes time to shop, the nearby Shawnessy Shopping Plaza contains more than 250 stores. This community offers recreational areas for every age and activity level, along with established schools for children of every grade. For peace of mind, Silverado is also located just a few minutes away from the prestigious South Calgary Urgent Care facility as well as numerous specialist practices. Conveniently situated at the southwest edge of Calgary proper, commuters have multiple options to get anywhere in the city in a very short amount of time. But it is time to act fast as there are only four homes remaining in the community of Silverado. Of course, the design and layout of your house will be your main focus when it comes time to build a home. But it's the neighbourhood and surrounding community that make all the difference; transforming an address into a special place where you and your family can enjoy the finer things in life and make memories! Good schools, beautiful parks, recreation centres, shopping options, and quick access to transportation hubs are all essential amenities that residents of Calgary's newest communities can enjoy. *Originally posted July 12, 2016, updated January 31, 2019.